Shell, like many other oil companies, often comes under the limelight for breaching environmental regulations and causing pollution. Over the course of history, the company has been a part of scandals various times and hence has been dragged to court. One of the most notable crimes committed by the shell is perhaps the human rights violations that happened in Nigeria. Shell was allegedly involved in torturing and murdering people who were protesting against the company. Back then, it was easier to hide your dirty laundry under the carpet. However, today consumers are equipped with social media, which makes it difficult for companies to act irresponsibly. According to research conducted by Accenture, consumers of all generations care about how retailers perform their duties. Regulars under 30, especially have strong affiliations with companies that act ethically. 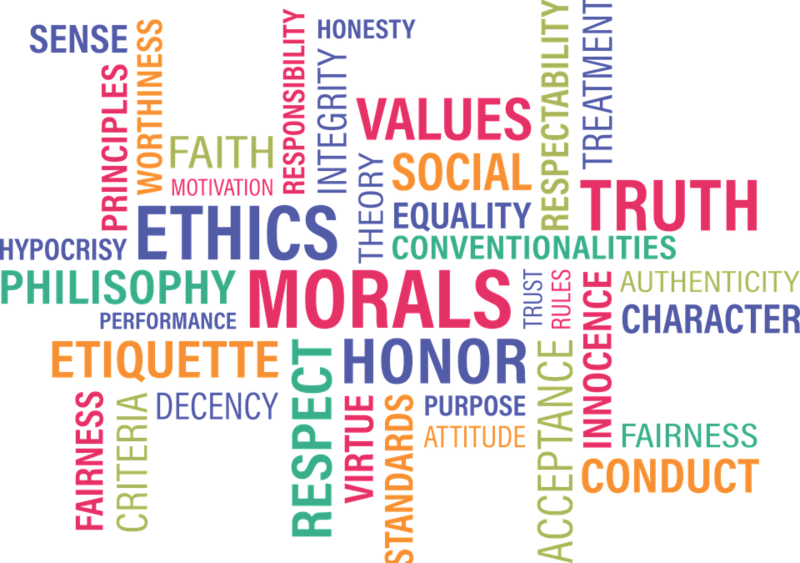 What is an ethical brand? When it comes to defining an ethical brand, it is linked to the activities of the company behind the brand. Hence, an ethical brand is one that is: morally correct, does not harm the environment and contributes to society in a sustainable way. One of the most relevant examples of an ethical brand is perhaps The Body Shop that has been around for more than 40 years. The company’s mission is to become ‘the world’s most ethical and sustainable global business.’ The brand has laid down 14 targets for 2020. Its targets include doubling the community’s trade program from 19 to 40 ingredients. It also involves regenerating 75 million square meters of habitat and sourcing 100% of the natural products sustainably. It would be easier for your business to follow the ethical path if its objectives and goals are clearly defined. When you can answer what the purpose of your existence is, then it would be easier to chalk out an ethical brand strategy. For example, the mission statement of Patagonia, a fashion brand goes like: “Build the best product, cause no unnecessary harm, use business to inspire and implement solutions to the environmental crisis.” The company actually practices this dutifully as it donates 1 percent of its earnings to grass roots environmental groups. Similarly, you can associate yourself with a cause that will make the world a better place. It would be better if your cause is related to your business. In 2000, the United Nations listed some sustainable development goals for organizations to focus on. These include no poverty, zero hunger, quality education, clean water, climate change, good health and wellbeing among others. To be an ethical brand, you should not only have an ethical mission statement, but you need to be responsible throughout your supply chain too. Starbucks, for example, is considered one of the best ethical companies in the world. It has been recognized as the most ethical brand for 12 years by the Ethisphere Institute. This is because the company strictly adheres to its ethical mantra. It sources coffee from sustainable farmers. It also looks after the wellbeing of its employees by paying fair wages and their tuitions’ fees. Apart from the sourcing, your manufacturing process needs to be ethical as well. The Body Shop, unlike other cosmetic companies, does not use animal testing. Companies that focus on ethical manufacturing processes pay attention to sustainability. This is not only better for the planet, but for the company as well. BMW is one such company that focuses on ethical manufacturing processes. The company aims to reduce the carbon emissions of its new fleet by 50 percent by 2020. As for its production lines, the company plans to reduce the consumption of resources by 45 percent per vehicle. For its long-term vision, the company wants to achieve complete CO2 free production. Apple, the IT giant, has been regarded as the greenest tech company in the world. The company encourages its partners to take advantage of renewable energy, and its packaging is mostly made with recycled products. Corporate social responsibility or CSR activities are similar to your vision and mission. But they are something additional that a company does to make the environment a better place. Many multinationals carry out these activities to improve their brand image. For example, General Electric has made GE Foundation that regularly contributes to the community and educational programs. In 2016, the foundation pitched $88 million. Similarly, Cisco uses the company’s technology to help underserved communities with healthcare, education, and resources such as food and water. Disney, the all-time favorite company of kids, has been termed as the ‘World’s most admired company’ by Fortune. In 2016, the company donated around $400 million to non-profit organizations. The entertainment company not only helps the community in terms of finances but also by giving its time. The company has started ‘Volunteer’s’ that encourages employees to donate time to the community. Since 2012, Disney’s employees have given 2.9 million hours. The company aims to reach 5 million hours by the end of 2020. Being an ethical brand is never a drawback for any business; rather it acts as a helping hand. According to scoop site, a company that invests in solar energy gets to reap big savings in the future. However, with such initiatives, it is all about realizing benefits in the long run. So, you need to be patient. In fact, by following ethical practices, you save your company from any potential backlashes or court cases. It is far more difficult to build a strong reputation, and it is way too easy to ruin it.